I have been training with Matrix Health and Fitness now for almost a year and enjoy being a member. 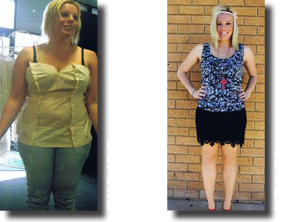 I have achieved results far greater than what I anticipated I have dropped 3 dress sizes and gone from 95kgs to 69kgs and I’m still going! 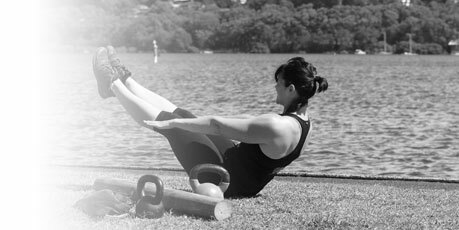 Matrix Health and Fitness has great friendly trainers that I look forward to seeing each day, and great mixed sessions for all types of fitness levels, the outdoor style of cardio strength and cross training is 100% better than being cooped up in a gym! The other members of MhaF are all so nice and encourage and show support towards each other every step of the way! 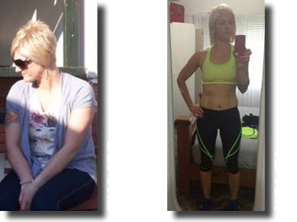 My journey so far has been so rewarding and the knowledge from the trainers and also through the workshops you can participate in with MhaF has made a huge difference, because you can never out train a bad diet! In November 2011 an email appeared in my inbox – SPREETS Boot Camp Offer. After reading the offer I contacted Trinity to make sure I could do this with them and was told I definitely could so I had to make a decision…… Should I, can I, will I……? 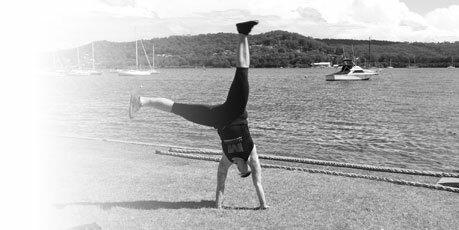 After a lot of thought I decided that it was now or never – for the first time in my life I actually had time to be able to commit to getting fit – so I started boot camp with Matrix Health and Fitness in November 2011. At my heaviest I weighed in at 97 kilo’s and was wearing a 16-18 dress size. Trinity Roberts and her team have the ability to encourage, motivate and nurture their clients. They push you well beyond your expectations and get you to a point where you just want to prove to them that you can and will do it. 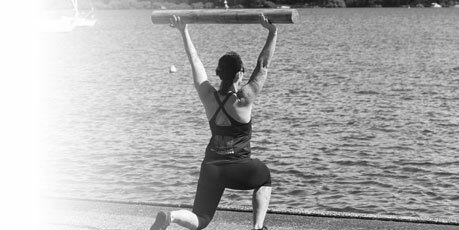 It’s not your regular gym, we train outside in the heat, the rain and in the cold, but it’s fun and varied – they have extensive knowledge and can adapt any exercise to suit any individuals needs. I have met many wonderful people through the MHaF network and we support and encourage each other. Today with the help of Matrix Health and Fitness and Trinity, I look younger than my 45 years and definitely feel younger than when I started this journey, I weigh 82.5 kilo’s and am wearing a size 12 comfortably. What I have gained as well is a transformed body shape? I have toned my entire body and now have muscle definition. I am stronger, healthier and happier than I have ever been. 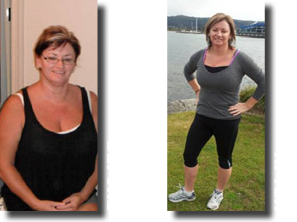 Thank you, Trinity and Matrix Health and Fitness for changing my life. My name is Lydia and I’m 40 yrs old in November 2013, am married & have nearly 18yr old twin boys. I joined boot camp with Trinity 3 years ago & have never looked back. It was not an easy decision to get me to join. My husband used to always say to me “Why don’t you join, I’m sure you’d love it!” It took months & months for me to have the courage to go & I only did because my friend got a brochure in the mail & asked if I’d go with her. In May 2010 I also decided it was time to give up smoking after 25 years. I had tried many times & failed, but this time I was successful. I’m an all or nothing kind of girl & quitting smoking was just the first step unbeknown to me at the time, that would lead me to a life of extreme fitness, health, nutrition & vitality that I just can’t describe. I absolutely love my life & how fantastic I feel every day. The reason I joined initially was to try & lose about 10kg. I didn’t consider myself overweight as I was only 68kg but I was becoming extremely uncomfortable. I had gained weight due to terrible eating habits, lots of sugar, energy drinks & breads & cakes. The fact that I couldn’t sit down in a pair of jeans was just depressing. My first session is something I will never forget & I often wonder how I ever got through it. I was exhausted just from the warm up & embarrassed that I couldn’t even do one push up. I couldn’t walk for about 4 days afterwards, or sit, & trying to go to the bathroom was well, let’s just say I thought I may have to learn to go like a man. In saying all that, something made me go back. I had committed myself to going a minimum of 2 days per week. After a short while I figured I actually really loved this, & I was pushing myself to achieve things I didn’t think I could. I decided that in order for this to really give me the results I wanted, I had to have a really good look at what I was eating. I went through the first few months believing that because I was exercising I could eat whatever I liked. So not true! I was educated about the “You can’t out train a bad diet” & decided to start documenting my journey. I cut out processed foods from my diet & kept a food journal. I amped up my training to 3 days a week & decided to start running on a Sunday. Within 10 months or so I had lost 11kg & a combined 33cm off my body. I felt amazing, fit healthy & I can wear jeans comfortably for the first time in ages. 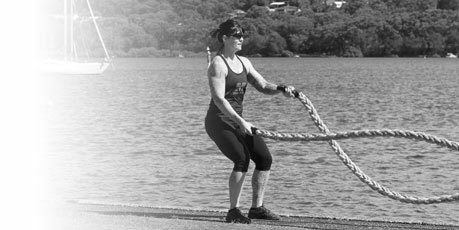 I credit Matrix Health and Fitness’ boot camp classes all the way for sparking a fire in my belly for fitness. The classes are fun & in my opinion never get easier, which I love as I’m constantly pushing myself to be fitter faster & stronger. 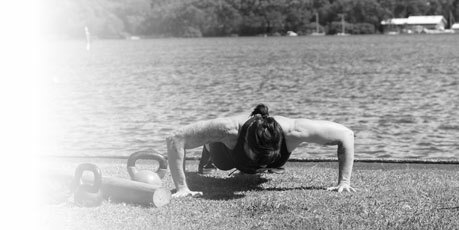 You are trained on correct technique & how to achieve results just using your own body without the need for any fancy machines, which means you can use this anywhere anytime to do a quick workout.. no excuses. After completing a 12 week fitness program and losing a bit of weight I was feeling a lost on how to maintain the weight loss, but also bored of working out in the gym. 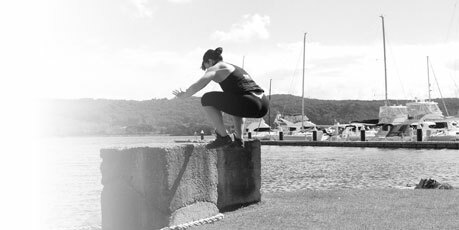 Then I heard about about boot camps with Matrix Health and Fitness from a friend I decided to give it a go. I remember turning up the first day feeling nervous with a slight fear of the unknown but it only took one session for me to realise that I had worried for nothing. Trinity and the other trainers’ sessions were fantastic. I could turn up each lesson and be told what to do, how to do it and whether or not I was doing it correctly. I didn’t have to think too hard!! I was especially pleased with the flexibility but also the fact that there were no contracts to sign and no pressure to lock myself into anything. It was affordable and I learnt so much from the trainers not just about the exercises we were doing but also about nutrition. The trainers were always available to answer questions but also to provide the guidance and encouragement when it was needed. None of the sessions were ever boring, all the trainers had a great sense of humour and made the workouts fun. Trinity is incredibly supportive and provides an environment for you to achieve your goals that is in no way threatening or intimidating. 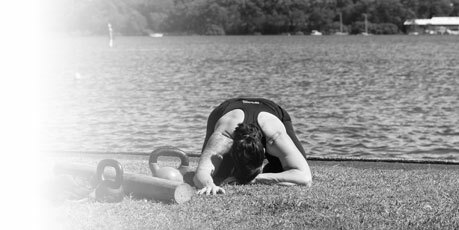 Not only are the boot camp sessions good for the physical health but have been fantastic for the mental health! 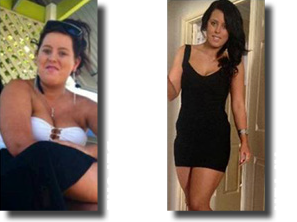 Trinity and her trainers are all extremely passionate about health and fitness which is obvious in the time and efforts they afford their clients. I have so much to thank Trinity and her trainers for, the education, friendship, advice, support but most importantly, they gave me the confidence to push myself outside my comfort zone and do things I never thought I could or would! Thank you, thank you, thank you Trinity and Matrix Health and Fitness!